King Canute (or Cnut - on the right of the picture above)was the Viking King of Denmark and Norway who captured the throne of England, conquering the country and ruling it from 1016-1035. Yet the only thing he is really known for is "trying to stop the tide coming in". Recent articles about the Ryan Giggs affair (Nonsuch HP is reasonably confident we can mention his name now without getting sued!) have suggested that he has acted like "King Canute" in trying to stop everyone talking about him on Twitter - ie once the cat has been let out of the bag (mixing metaphors a bit) you can't put it back in. However, this BBC article suggests that the Canute legend is unfair. The first written account of his reign, by Henry of Huntingdon, suggests that Canute did indeed go down to beach at Bosham, Sussex, and order the waves not to come any further onto the land. However he didn't do this because he was power-mad, but because he knew that his order would fail, and would prove that there were some things beyond his control. In other words, it was an early lesson in the limitations of political power. Indeed Professor Simon Keynes regards him as quite a remarkable king rather than the pompous buffoon of legend. However, Canute in real life was unlikely to have been that humble. 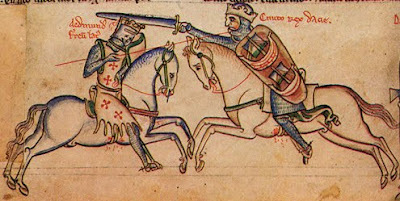 His successful conquest of England and his clever marriage to Emma of Normandy, widow of the Saxon King, suggests that he was a remarkably talented soldier and politician. Some excellent programmes on BBC2 and BBC4 over the last couple of days. For historians, Fergal Keane's Story of Ireland covered Elizabeth's reign and Hugh O'Neill's rebellion with a clear Irish interpretation but one that reveals more about how the Irish were viewed in the 16th century. Last night, for the politicians there were two excellent programmes - the Highest Court in the Land about the UK Supreme Court with an interesting interview with Lord Phillips, President of the Supreme Court and Heath and Wilson which was a fascinating exploration of the relationship between these two prime ministers of the 1960s and 70s. All on iplayer, all worth watching - both for interest and the exams. Barack Obama's speech to both Houses of Parliament is well worth taking the time to read. 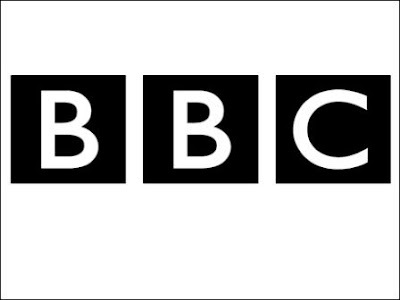 Here is a transcript alongside commentary from BBC correspondents. What is particularly interesting is the way he draws together shared values between the UK and the USA, many of which come directly from British history. "What began on this island would inspire millions throughout the continent of Europe and across the world," he said. "But perhaps no-one drew greater inspiration from these notions of freedom than your rabble-rousing colonists on the other side of the Atlantic. As Winston Churchill said, the "…Magna Carta, the Bill of Rights, the Habeas Corpus, trial by jury, and English common law find their most famous expression in the American Declaration of Independence." "For both of our nations, living up to the ideals enshrined in these founding documents has sometimes been difficult, has always been a work in progress. The path has never been perfect. But through the struggles of slaves and immigrants; women and ethnic minorities; former colonies and persecuted religions, we have learned better than most that the longing for freedom and human dignity is not English or American or Western - it is universal, and it beats in every heart." He goes on to look at how these values have fared in the 20th and 21st Century, coping with military, political and economic challenges, and his central point is that they are still relevant and have much to offer in the global community. The BBC's Mark Mardell was slightly underwhelmed, believing that Obama had taken on too many challenges to resolve successfully in one speech, but that the central argument was one worthy of further debate. 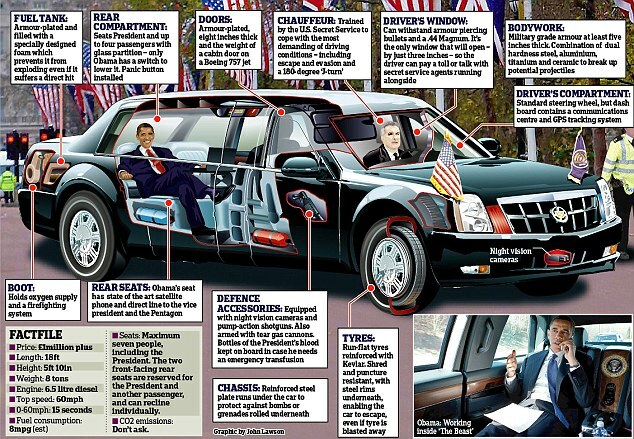 Perhaps we will hear more on this as the cavalcade moves on to Normandy today for the G8 conference. 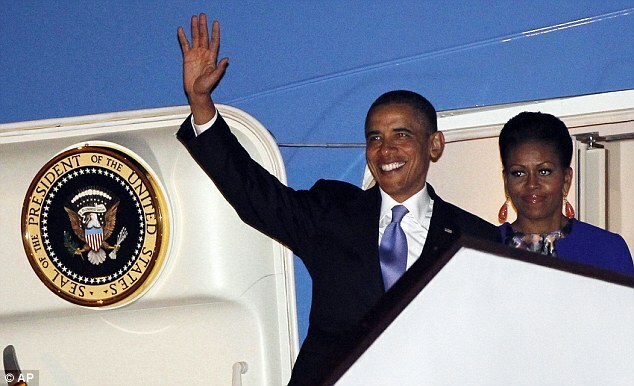 Today marks the beginning of President Obama's state visit to the UK - only the third such visit made by an American President in the last century, although the Queen has notched up an impressive 101 state visitors during her reign. Obama has already had a very successful tour of Ireland, where he has drunk Guiness in his ancestors' home of Moneygall (and got his car stuck on a ramp). Americana this Sunday had a very interesting report on why Presidents (and Americans in general) are so keen to celebrate their Irish ancestry, and it is well worth listening to. You can also click on this map to see how other Presidents, including Reagan, Bush and, of course, Kennedy have acknowledged their Irish roots. There will be much talk during the UK visit about the "Special Relationship" between the US and the UK. Obama and Cameron have published an article in the Times this morning explaining that the relationship remains "essential". Not everyone would agree, and this article suggests that Obama has deliberately moved away from emphasizing the UK as a key ally in order to promote alliances elsewhere. Here is some more information about what exactly state visits are for, and here is some footage of some previous presidential visits. 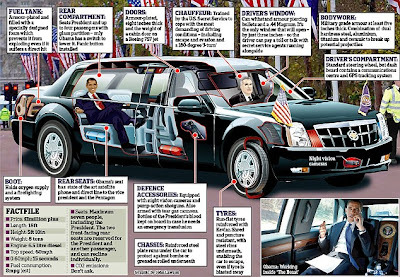 PS: Here is a super-detailed Daily Mail graphic of the Presidential Car - known as the Beast! 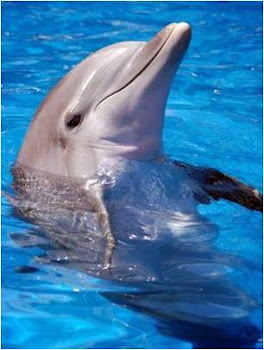 Click on it to enlarge the picture and ">click here for further info and videos. PPS: Here are further articles on the "Special Relationship" from the New York Times and Washington Post. Here is a fascinating article about Nonsuch Palace, from which our school of course takes its name. It explains how the palace was designed as a "privy palace" for Henry VIII - built exclusively for his private enjoyment. It was therefore quite small compared to more public palaces like Whitehall but was very lavishly furnished. Construction began in 1541 and when Henry took his courtiers to see it 4 years later tents had to be erected to accommodate everyone. Eventually it was completed in 1548, by which time Henry had died and his son Edward VI was too young to appreciate it. Mary Tudor sold it to the Earl of Arundel, but Elizabeth I reacquired it towards the end of her reign. It was eventually given by Charles II to his mistress, the Duchess of Cleveland, who had it demolished and sold off to pay off her gambling debts. 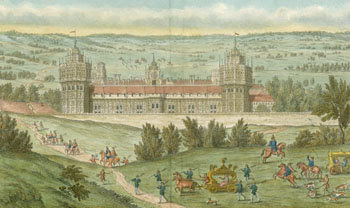 Some of the interior of the palace can now be seen in Loseley House, near Guildford and some of its objects are in the Whitehall Museum in Cheam and the British Museum in London. 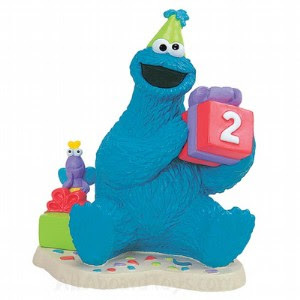 Today is Nonsuch HP's second birthday. It's been a turbulent 12 months, dominated by events in the Middle East and North Africa such as the "Arab Spring" in Egypt and Tunisia, conflict in Libya and Afghanistan and the capture of Osama Bin Laden. 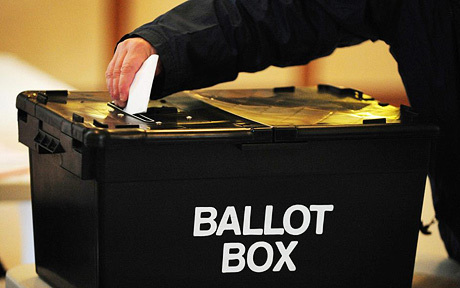 In the UK we have had a new Labour leader, a referendum and a Royal Wedding, and have watched the coalition come under increasing strain. President Obama's fortunes have fallen and risen dramatically over the last 12 months, and there does not yet seem to be a credible Republican challenger to him for the 2012 elections. At Nonsuch we have enjoyed visits from Emmett Sullivan, Jon Davis and Kate Rea, and a very successful castle competition, but if we had to sum the the year up with one event, 2010-11 will probably be remembered for Lembit Opik's visit! Nonsuch HP paid a brief visit to Whitehall in Cheam today. 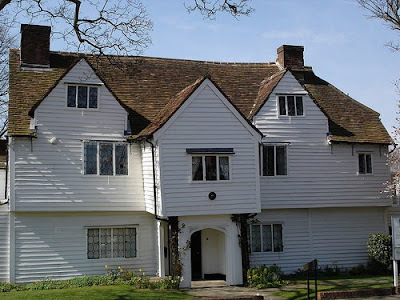 This is a beautiful Tudor building, built in about 1500 as a farmer's house, which has now been restored as a museum. There are a fascinating collection of rooms on display to the public, reflecting the various "improvements" the house underwent during its life. From 1741 to 1963 it was home to the Killick family who were also closely associated with Cheam School. 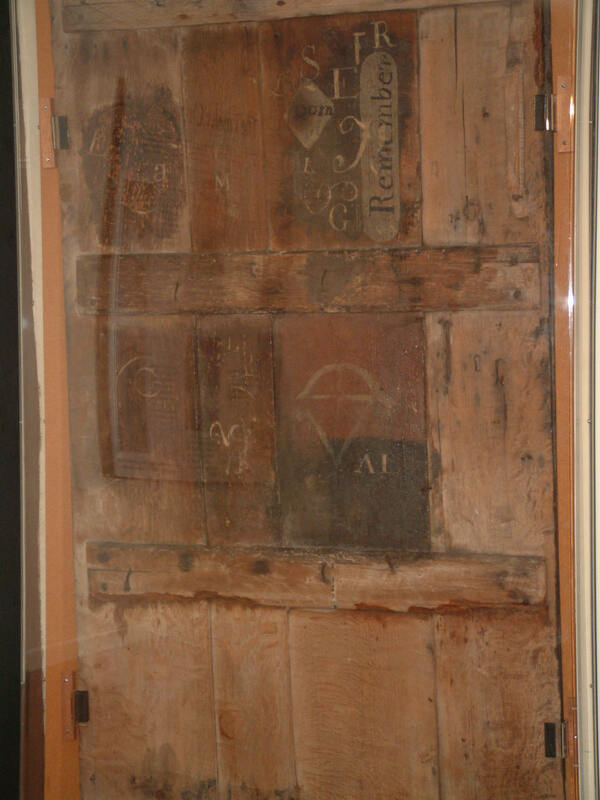 There are exhibitions about the family, the school and also Nonsuch Palace in several of the rooms - the Palace exhibition includes several Tudor jugs and pieces of crockery that were found when the site was excavated. The most interesting thing in the museum is the "graffiti door". On it is written the word "Remember" - the last thing Charles I said before his execution, showing that the Killicks clearly had close sympathy with the royalist cause. Whitehall also used to be known as "The Council House" as it is said that Elizabeth I had an impromptu council meeting there to sign papers while she was out hunting from the palace. The house seems a little cramped for this sort of thing, but makes for a good story! You can find out more about Whitehall (including opening hours) here. It's well worth a visit and also has a good tea garden! PS: You can find out more about other interesting historic places in Cheam here. 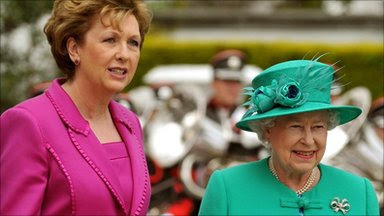 It is 100 years since a British monarch was in Ireland and the first time since Ireland became independent from Britain. Quite a historic occasion. The BBC have an overview of the historical significance by the articulate Alan Little and also a magazine article on the history. Andrew Rawnsley presents a great Dispatches programme outlining the key events in politics over the last year. Fantastic for revision as it looks at the key reasons behind the coalition and the developments since. Watch it here for the next month on Channel 4OD and read Rawnsley's view of the most recent events in his Guardian column. A loveless marriage? What do you think? Further footage of the year in coalition here on the BBC. The Referendum is nearly upon as, as are the elections for the Scottish Parliament, Welsh Assembly, Northern Ireland Assembly and English local councils. This BBC page is a helpful one-stop shop for analysis of what is taking place, including Jeremy Vine's short video guide with the usual whizzy graphics. If you missed them, here are the campaign broadcasts for the Yes and No campaigns for the referendum. This is another attempt to explain AV to the wider public and here is BBC3's attempt to debate the subject with young voters (and Richard Bacon). How do you think it's all going to turn out? Please let us have your predictions! Does Bin Laden Deserve a Place in History? 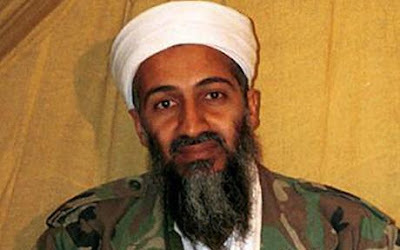 The dramatic events in Pakistan on Monday led to the death of Osama Bin Laden and the end of a nearly ten year-long manhunt following the terrorist attacks on September 11. His death is clearly significant, and has led to a huge amount of media coverage around the world and given Barack Obama a helpful victory at a politically significant time. This BBC article takes a longer view, considering Bin Laden's background and career and whether historians will consider him of significance in the long term, particularly in the light of the recent dramatic events in Egypt, Libya and Syria which have had little involvement from Al Qaeda. 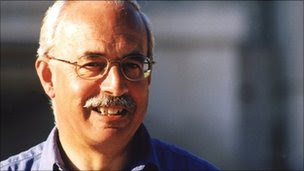 Richard Holmes, the charismatic, war historian, died today at the comparatively young age of 65. He was suffering from cancer. He is probably best known for his TV series War Walks which told the story of a range of battles from Hastings in the 11th century to the Somme in the 20th. Here is the BBC's biography of him and here is a link to the Somme version of War Walks on Youtube. However, he also presented other series on Oliver Cromwell, Sir Winston Churchill and the Duke of Wellington.